Lung cancer is the number one cancer killer in the U.S. This disease has just a 15% survival rate and causes more deaths worlwide than the next three most common cancers combined (colon, breast and prostate) : 1.3 million deaths every year. About $10.3 billion is spent annually in the U.S. on lung cancer treatment alone. 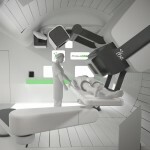 Physicians at The University of Texas MD Anderson Proton Therapy Center are leaders in the research and treatment of lung cancer and are pioneering the development of proton therapy for lung cancer patients. 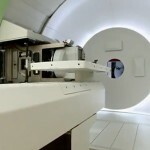 Proton therapy presents an advanced image guidance and an ability to precisely target tumors in the lungs, as the powerful radiation of protons can be delivered with optimal accuracy. Proton therapy’s advantage for many lung cancer patients is based on this feature, as it allows to spare critical nearby structures such as the esophagus, heart and spinal cord, reducing some of the side effects of traditional radiation and help patients maintain good quality of life. Furthermore, by minimizing the exposure of normal tissues, the tumor can be treated with a higher dose of radiation, which leads to better local control of the disease, higher survival rates and improved quality of life. 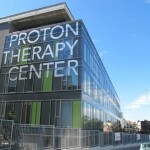 Proton therapy is currently available at only 11 centers in North America (13 centers are in development). 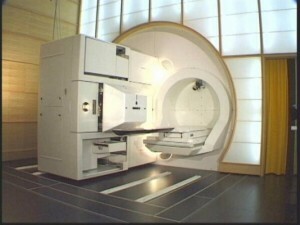 MD Anderson has one of the largest and most technically advanced centers in the world, which offers a range of proton treatment options, including pencil beam proton therapy, a highly precise form of proton radiation also known as scanning beam, and intensity-modulated proton therapy (IMPT), the most advanced form of proton radiation. For patients with recurrent lung cancer, who have already received full doses of traditional radiation, pencil beam and intensity-modulated therapies may further limit or eliminate radiation to sensitive areas. 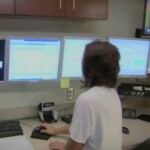 The Proton Therapy Center treats as many as 900 patients annually. Nearly 5,000 patients have been treated to date, accounting for 15 % of the total number of patients who have received proton treatment nationally. Approximately 1,000 of these patients have been treated for lung cancer. The best lung cancer candidates for proton radiation are those whose cancer is localized in the chest and can’t be removed surgically.